1.2 Capacitor with wide-field lens. X Y Platen large area. 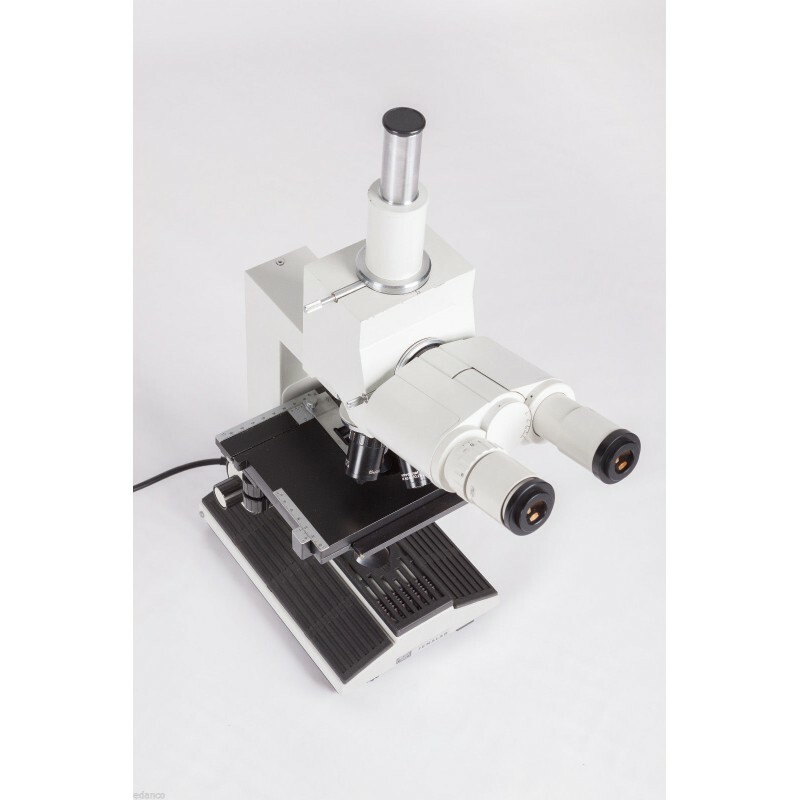 This microscope has a Mikroval series stand but with the optical performance of the CF 250 (Jenaval, Jenalumar), it has a wide field binocular head and a stir with five Planachromatic objectives. It also has an oversized deck like the one in the CF 250 series. It comes with a 1.2 condenser with special wide-field lens and adaptation for darkfield sliders and phase contrast. We also include a trinocular head with exit for photography/video. 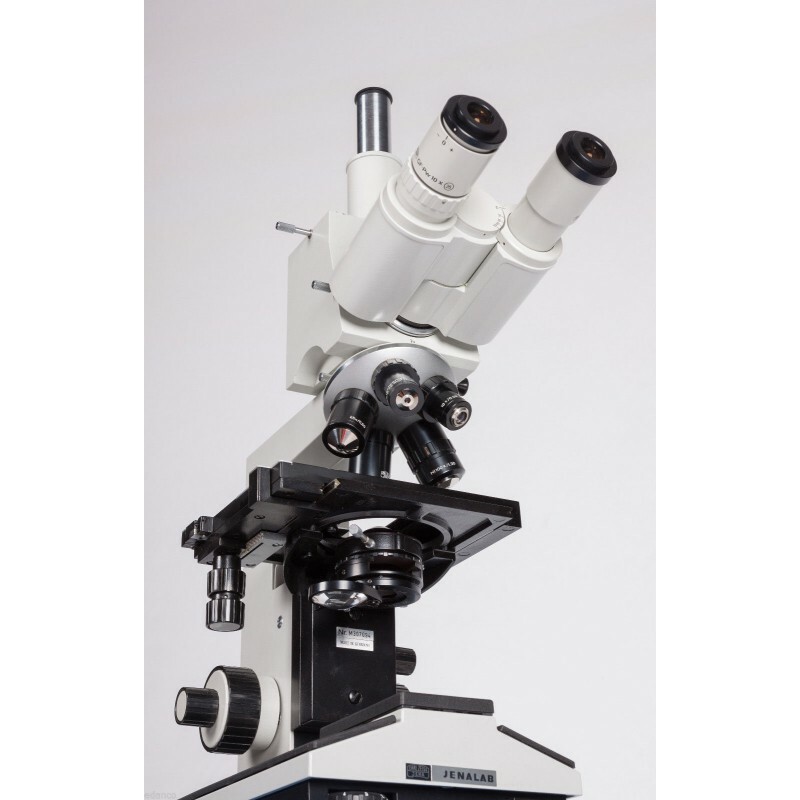 This microscope comes from the CARL ZEISS JENA distributor in Spain and has been exposed in three microscopy fairs. Is in perfect working conditions, hasn’t been exposed to dust and includes a user manual in Spanish. 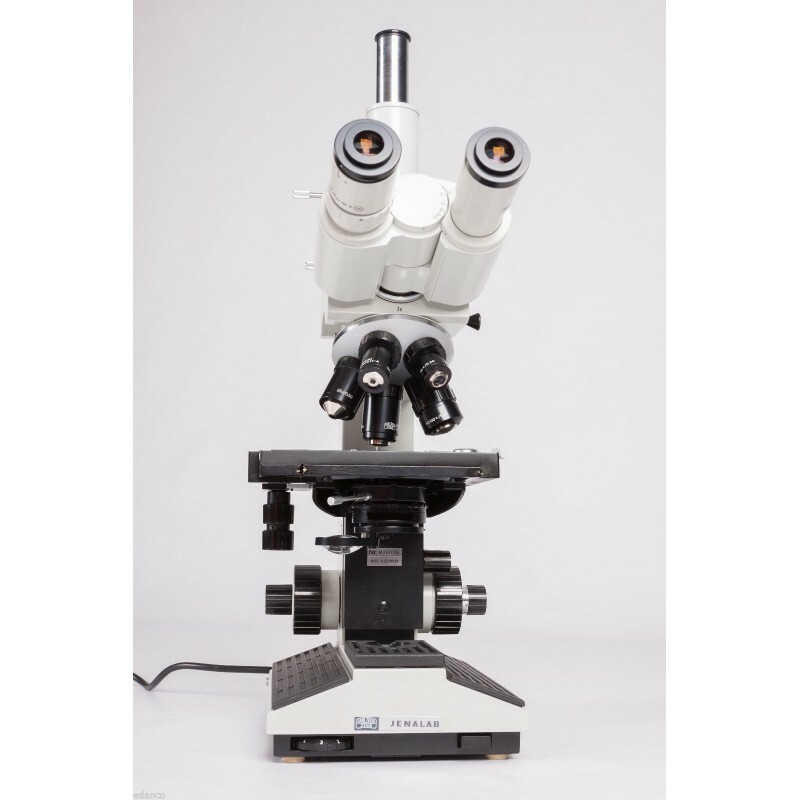 It's from the last series manufactured by CARL ZEISS JENA just before merging with ZEISS. 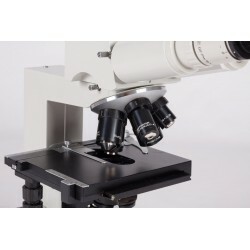 -And the one we are selling, with five planachromatic objectives stir and the GF (25) field eyepieces. Top en model. *Please, if you have any question about the product don't hesitate to ask us.